Timeout is different from Session time out. Session time out is if you open your online account certain time by not entering required input data, then, the session will be timed out. Timeout is due to network traffic and Gateway or server busy, your transaction is not successful but money is deducted from your card. 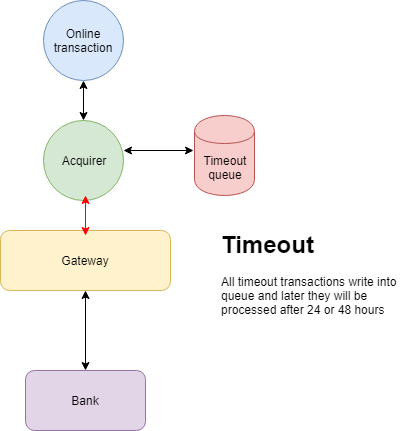 Those kind of transactions they put in timeout queue. These will be processed after 24 or 48 hours.